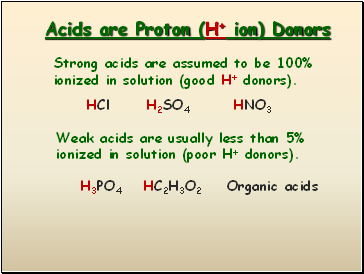 Strong acids are assumed to be 100% ionized in solution (good H+ donors). 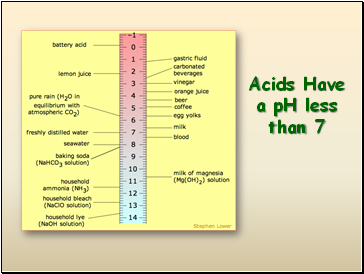 Weak acids are usually less than 5% ionized in solution (poor H+ donors). 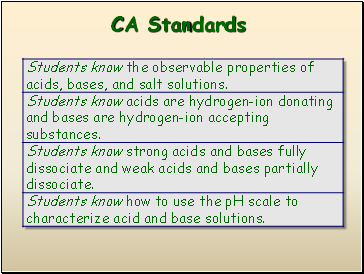 Organic acids are weak acids. 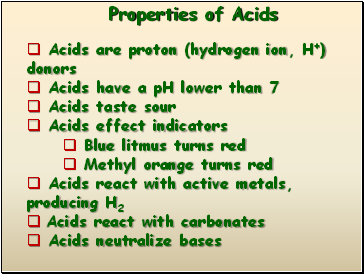 Some are used as flavoring agents in food. 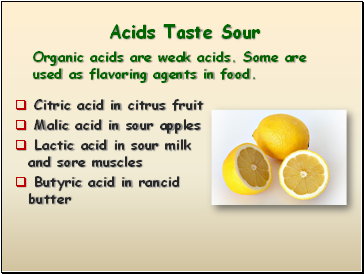 Organic acids all contain the “carboxyl” group, sometimes several of them. 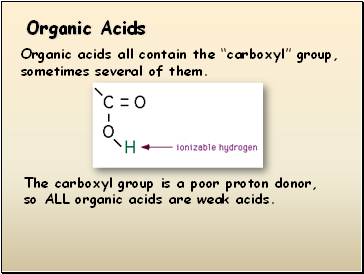 The carboxyl group is a poor proton donor, so ALL organic acids are weak acids. 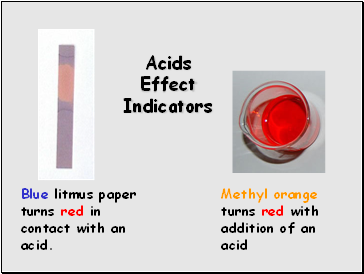 Blue litmus paper turns red in contact with an acid. 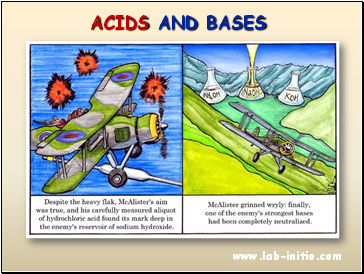 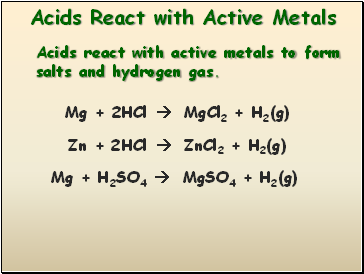 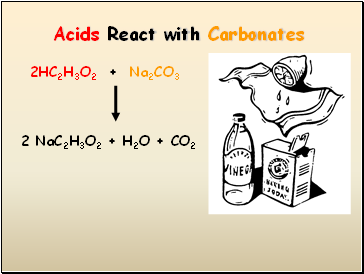 Acids react with active metals to form salts and hydrogen gas. 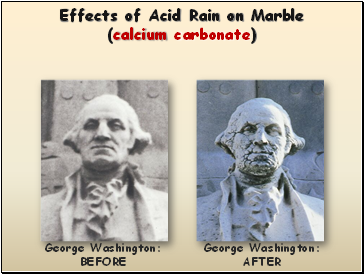 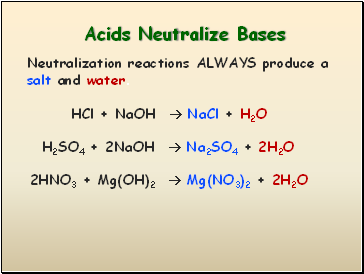 Neutralization reactions ALWAYS produce a salt and water.